Billie Severtsen earned a Nursing Diploma from Sacred Heart School of Nursing (Spokane), a Bachelor of Science Degree from Gonzaga University (Spokane), a Master’s Degree in Nursing Education from Columbia University (New York) and a Doctor of Philosophy Degree from Gonzaga University. Her clinical expertise is in the area of Nursing Ethics and Ethical Decision Making. 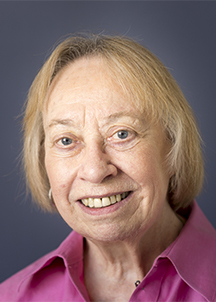 She has taught nursing ethics to undergraduate and graduate students for many years. Dr. Severtsen teaches required courses in the BSN and the RN to BSN program each semester. These courses examine, in particular, ethical issues which are specific to the culture of nursing and nurses. She has also taught an elective, “Narrative Medicine” which examines the role of illness narratives in the genesis of disease and illness causation. She has mentored numerous graduate students in both thesis and non-thesis projects. She serves on the PhD Dissertation Committee of one student at the present time. Her research interests are qualitative; interpretive phenomenological inquiry.